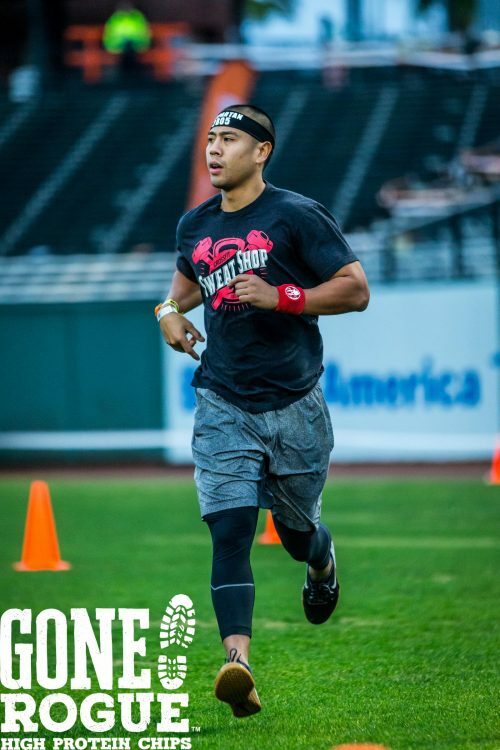 Most of you guys know by now, but if not, I completed my first Spartan Race this past weekend at AT&T Park. Although it was just a Sprint Race, only 3 miles, it was perfect for my first time out. With that being said, I wanted to take a moment to share my experience with all of you. First of all, I never really pictured myself taking part in any type of Spartan Race or any race really in that regard. But shout out to Brittany Sturmer aka Sturm Dizzle for convincing me to pull the trigger and sign up. Anyway, the day started off at 5am and I woke up to the beautiful sound of POURING rain. I thought to myself, “Is it seriously raining, what have I gotten myself into? 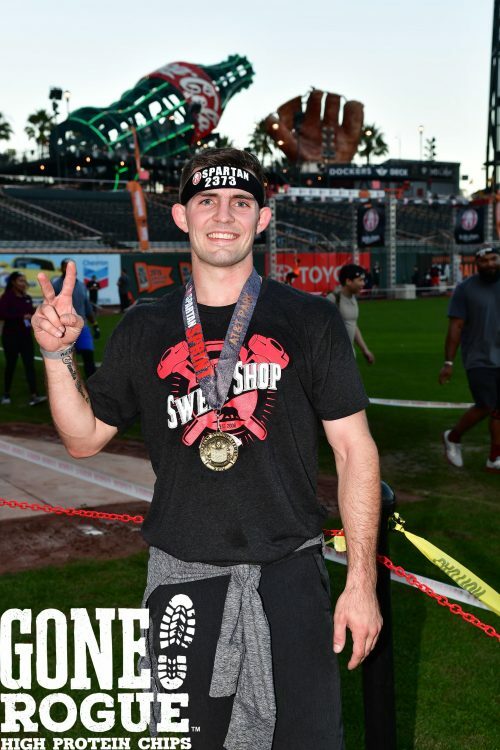 !” Regardless of what mother nature had to say, we made our trek to AT&T Park and that’s where I got my first glimpse of the course. The infield had 3 or so obstacles that I could see. Rope climbs, rings, walls, and the finish line were all in plain sight when we arrived. With a total of 20+ obstacles, I didn’t really know what I was in for with the rest of the obstacles being hidden throughout the park. We warmed up, I headed to the starting line and started to get the familiar rush as if I was heading out to compete. And the best part, the rain stopped! Game Time. They led us to the beginning of the course in groups of 15 and staggered the start. 3-2-1-GO, my whole group started off in a DEAD sprint towards the first obstacle, wall climbs (pretty much glorified box jump overs). Now what do all of us coaches say at the beginning of workouts, don’t go out too hot right?! And what did I do? I let everyone sprint ahead of me… Ha! 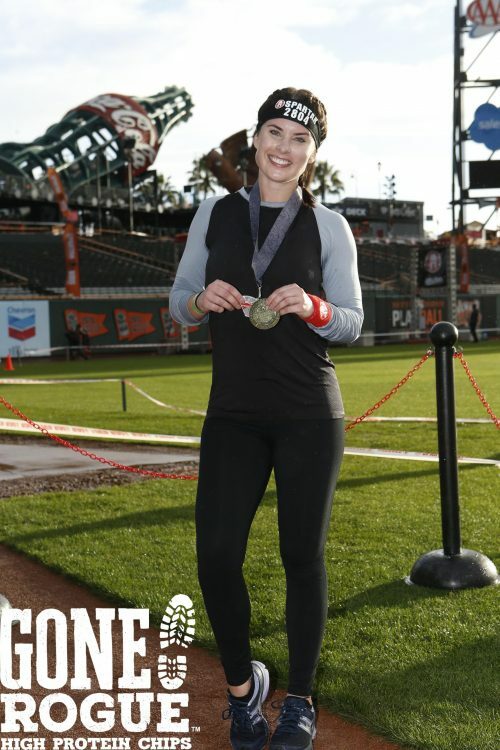 Who am I kidding, I got excited and made a mad dash for the first obstacle also 🙂 Anyway the course took us throughout AT&T Park, which was a great way to experience the place in my opinion. There were a ton of stairs, push ups, medball slams, and sandbag carries among other things. As the race went on, I thought to myself, this is pretty much just like another workout at the Sweat Shop! They even had an assault bike as one of the obstacles! 15 Calories before moving on, never thought I’d be happy to see that dang bike. At one point, the sky cleared and the sun started coming out as I was on the upper deck and man was that a sight to see over the bay. Before I knew it, the race was over and I was kind of bummed that it was! I grabbed my Spartan Swag, my FREE beer, and bumped into some other Sweat Shoppers at the race! Allison Payawal. Completed her Trifecta with this race also. A Spartan Veteran to say the least. An inspiration, and I want to do more races with you! Brittany Sturmer. 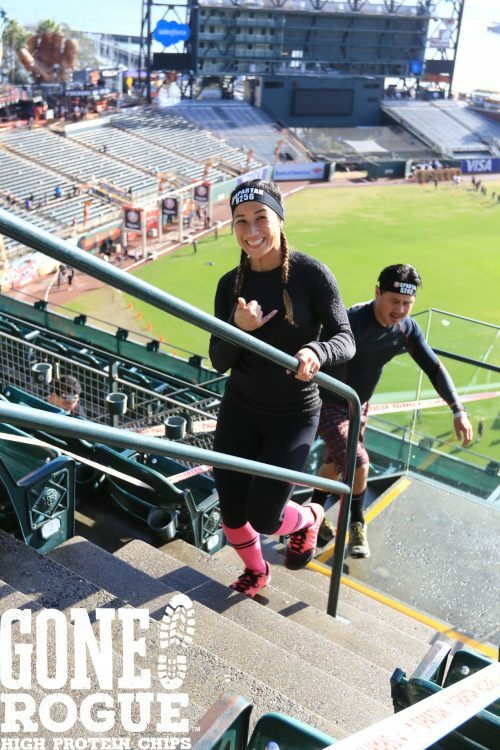 Started at the Sweat Shop earlier this year to train for her first Spartan Race. Completed her second ever on Saturday and crushed it. Going for the Trifecta next year. We stayed a bit to watch all the other heats go, and I was amazed and inspired to see all sorts of fitness levels/walks of life out there getting after it! I saw a dude in a walking boot complete the dang race for crying out loud! Let’s go! Regardless, everyone I saw cross the finish line had a huge smile and a sense of accomplishment on their faces. Good time out I’d say. With that being said, I was back home at around 1pm and asleep by 2pm. Success. To finish things off, I’m really glad someone finally convinced me to take part in my first Spartan Race. In all honesty, it’s just like any other workout we do at the Sweat Shop. It’s a good change of scenery! My advice, sign up for a Sprint Race to start off with. The distance and obstacles are very manageable, and again, nothing too different than what we do in the gym everyday. Get a group of friends together and make it a good time out! After completing the Sprint, I’d like to test some of my fitness out on a longer course! I mean, might as well put it to use! I’m signed up for the Super in San Jose in March, so if anyone is interested let me know! I’d love to get more people out there! Yay! What time are you signed for? The Super will be fun in San Jose, let’s get a Sweatshop Team together! I’m down! dude, congrats, I remember my first one at AT&T park too, was so much fun. i’m game for March. what time did you sign up for? Nice job everyone! This looks fun. I’m in!